This very concentrated globular cluster in Aquarius is about 37,000 ly away and contains at least 100,000 stars brighter then Sun. Discovered in 1746 by Maraldi, it was found by Messier on Sept. 11, 1760. 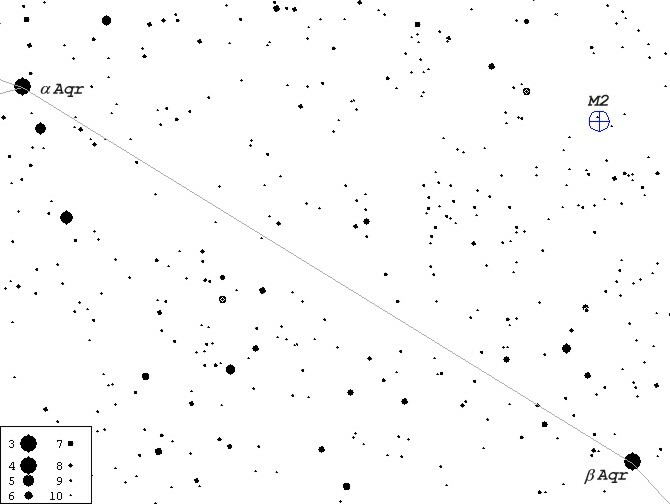 This bright cluster is visible in binoculars 8° W of a Aquarii and 4°45' N of b Aquarii (see finder chart below). 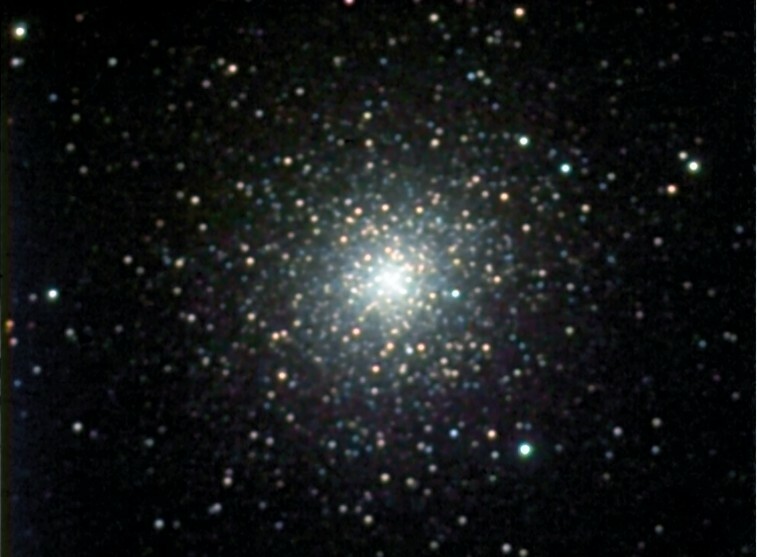 M2 image was taken on July 22, 1998 from Sooke, BC using Cookbook 245 LDC CCD camera on Ultima 8 f6.3 telescope, autoguided with Cookbook 211 LDC CCD camera on piggybacked 500mm f8 telephoto lens. It is composed of W (8 x 2 min.) and C (3 x 2 min.) and MY (4 x 2 min. 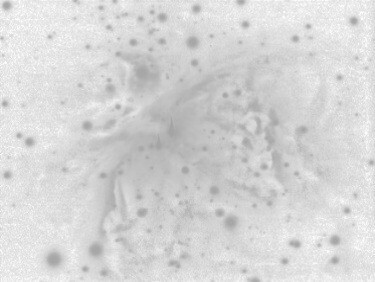 each) integrations processed with AIP4WIN and further adjusted in Lab color space with Corel PhotoPaint 8.